For over 3 years, “Jazz Rabbi” Greg Wall and his cohorts have created a thriving community. Every Thursday night, they’ve played at a local restaurant. But — according to an email sent to fellow musicians and fans — a “deteriorating environment for both the audience and the artists” is causing the Jazz Society of Fairfield County to seek a new home. Greg Wall, the Jazz Rabbi. This week, the Jazz Rabbi invited everyone to his “other pulpit” — Beit Chaverim Synagogue — for top-notch music, food (this week, sushi), drink and good cheer. The Jazz Society does more than play. In just 3 years they’ve raised funds to buy the famous Steinway piano from the historic Village Gate Jazz Club in New York. They’ve gotten not-for-profit status, conducted workshops for local students, and produced a benefit concert for Bridgeport’s Neighborhood Studios at the Bijou Theater. Meanwhile — until an appropriate venue emerges — the musicians are looking for hosts for Thursday night house parties. If interested, email jazzrabbi@gmail.com. 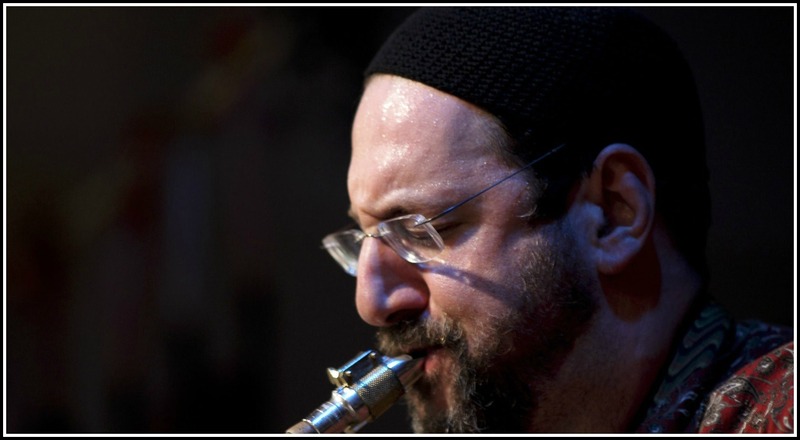 This entry was posted in Arts, Entertainment, Organizations, People, religion, Restaurants and tagged "Jazz Rabbi", Greg Wall, Jazz Society of Fairfield County. Bookmark the permalink. Thanks for posting this — as a jazz supporter I hope they find another venue nearby (and get to keep their piano). Not sure if the reference to “a deteriorating environment” has any relation to the recent racist cocktail controversy, but I was very disappointed to read the recent article in Westport News in which the venue’s bar manager was quoted as saying “I was confused because we’ve never had a cocktail by that name,” even though there are pictures proving that it did exist and venue’s management posted an apology on their Facebook page. Fake news? Really? Pearl at Longshore will be hosting on Sept 6th!